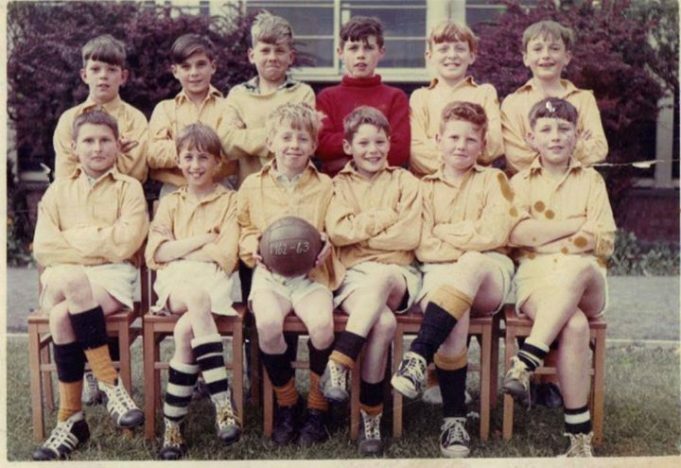 I am the goalkeeper Graham Sutcliffe in the red jumper , but not sure where it was taken either Manorway or St Chads school . The ball has 1962-63 wrote in chalk on it. Where and the names of the rest of team would be helpful. Dave Osborn on the Memories of Old Tilbury Facebook page also identified Lloyd Brown, Denis Ashwell, Clive Gathcole, Billy Sach, David Skip, James Blake and Colin Blake. Manorway 1962/3 left to right as you look Lloyd Brown, Tom Dunnett, Denis Ashwell, Graham Sutcliffe, Steven Stock, Chris Goddard. Front Row Clive Gathercole, Bill Sach, Peter Cornell. Dave Skipp ? ?